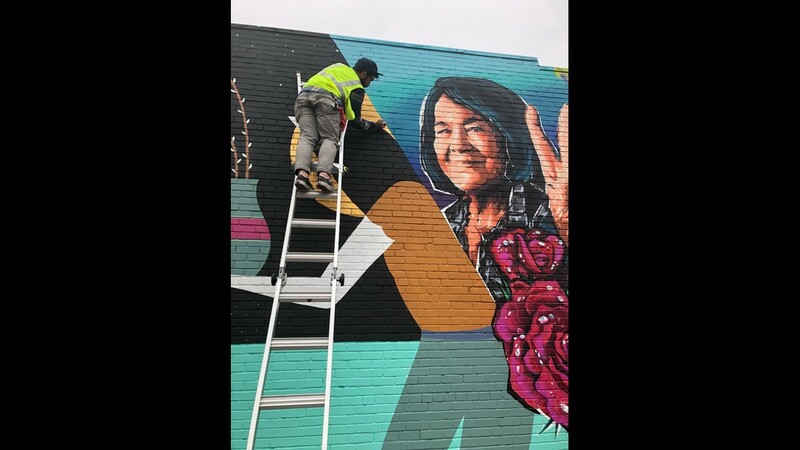 The mural, a collaborative effort between HOPE Outdoor Gallery artists and Facebook artists, will remain on the wall of Native Hostel long after South by Southwest 2019 ends. AUSTIN, Texas — Murals are a part of what makes Austin unique. 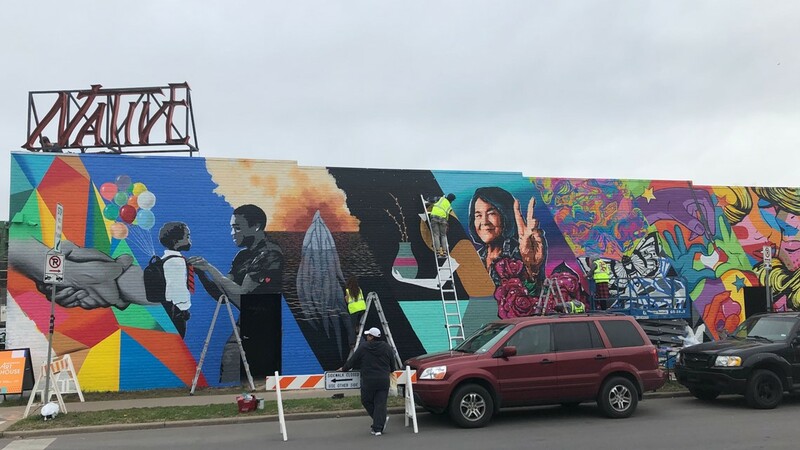 And one mural that was created during South by Southwest Conference and Festivals will remain after the chaos of the festival leaves the city. The mural, created by 15 HOPE Outdoor Gallery artists and three Facebook artists, is splashed across the exterior of Native Hostel, facing Interstate 35. 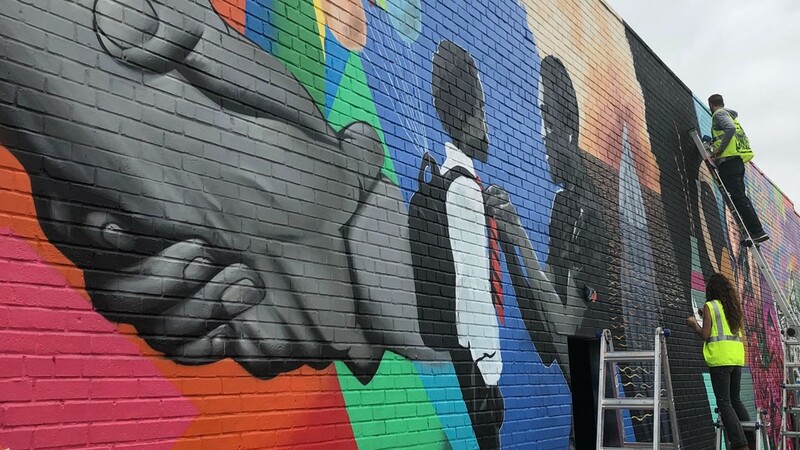 What makes the mural even more special is some of the visiting artists: Children from different youth groups helped create the 2,465 square foot mural. Artists told KVUE the mural represents a theme: "art fosters empathy and compassion." The mural, which started on March 9, is set to finish on March 11. Artists were seen putting the finishing touches on the mural the morning of March 11. It's sure to be a mural Austinites flock to for pictures, in true Austin fashion. Is SXSW becoming more political?